The summer holidays are finally here, and many of you will be heading off for a week or two of relaxation! If you have your home for sale though, have you considered what will happen if people want to view it while you’re away? Some people feel fully confident leaving all viewings in the hands of their estate agents, whereas others prefer to be around for all viewings of their home. You obviously don’t want to lose potential buyers by not allowing views while you’re on holiday, so follow these tips below for pre-holiday preparations. Bring in a friend – Your estate agent will always contact you to arrange any viewing, but let them know you’re on holiday and what your preferences are. If you want someone else to be there during a viewing, ask a friend or family member to be there too, and tell your agent this will be the case. Keep in the loop – Despite lazing by the pool, you still want to be kept in the know while you’re away, especially if a viewing could lead to a sale. Ask your agent to drop you a call or email with any news or updates, and especially if interested parties are looking to make a second viewing. Comments cards – Your estate agent will know the majority of your home details, but when it comes to particulars, you’re the best person to speak to. If you expect viewings when you’re on holiday, leave out little notes and comment cards on places and objects of interest. Potential buyers will appreciate the time taken and gesture, and may even help a sale. Do you get our free Selling Secrets? 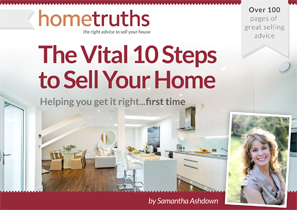 Packed with tons of tips and strategies to get your home sold quicker, for more!